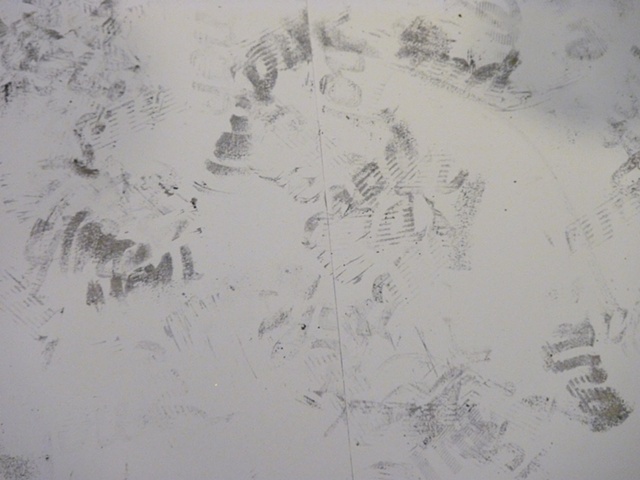 What remains from the performance was a variety of marks. Some were smeared from twisting or turning and others were concentrated. Where the two performers danced separately, there appears a condensed area of marks. When the performers crossed over and moved near one another the words became more like a dance instruction: 1 and 2 and 3 and 4 became you and me and you and me.